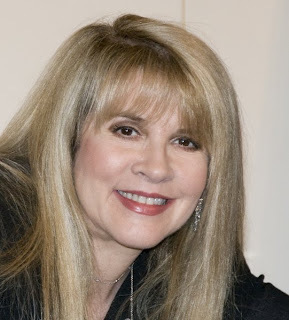 Celebrity Cosmetic Surgery: Stevie Nicks: Botox Users "Look Like Satan's Children"
Stevie Nicks: Botox Users "Look Like Satan's Children"
S.N. : You mean like plastic surgery? No. I had Botox and I hated it. For four long months, I looked like a different person. It almost brought down the whole production of the last tour. It was so bad, I would look into the mirror and burst into tears. Botox is becoming the new face of beauty and it’s unfortunate because it makes everybody look like Satan’s children. Everybody has pointed eyebrows. Everybody looks related. All the Desperate Housewives look like sisters. If you’re an unattractive girl who’s trying to be beautiful with Botox, forget it. If you are a beautiful girl who’s trying to be beautiful with Botox, you will look like you’re angry all the time. You’d have to tie me down to get me to do it again. In certain cases when people with arched brows have Botox, it can give them an overarched "Botox Brow." This can easily be treated by injecting a few more units above the eyebrow region. Most patients can also avoid this look by injecting less than the usually recommended 17-20 units in the forehead. Overall I think Stevie is being a bit too harsh. I don't think that Eva Longoria looks like Marcia Cross's sister! If you'd like to try using the Botox treatment visualizer (upload a photo of yourself and see what you'd look like with Botox), then click here. I for one don't believe she hasn't had anything done. IMO, not only does she look very good for her age, but with all the drug use over the years, it should have taken it's toll.